Liverpool's record-breaking start to the Premier League season has not caused Joel Matip to get carried away. 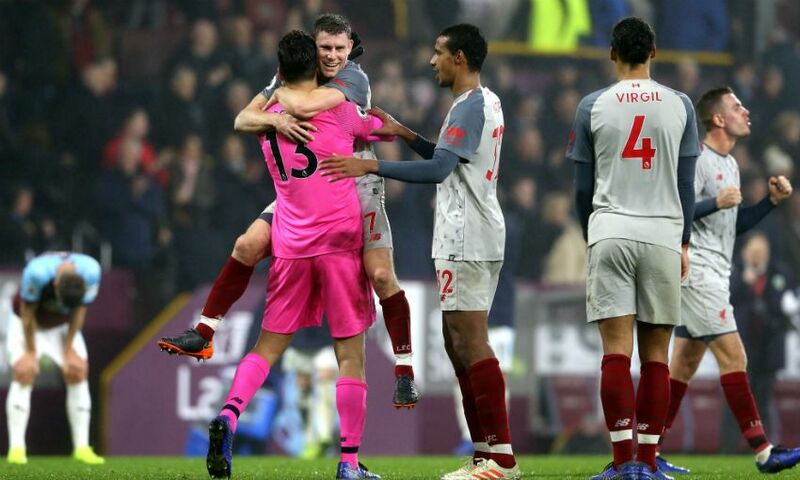 Wednesday’s battling 3-1 win over Burnley at Turf Moor took the Reds’ points tally to 39 from 15 games so far in 2018-19 - the best total at this stage of a league campaign in the club’s 126-year history. Matip credits that impressive run to the strong collective spirit within Jürgen Klopp’s squad, but insists it is vital to remain grounded as they seek to overtake table-topping Manchester City. “I think the team did it very well directly from the beginning [of the season] and we stay together until the last second,” the centre-back told Liverpoolfc.com. The win at Burnley, secured despite the fact the hosts went ahead early in the second half, came just 72 hours after the Reds defeated Everton in the Merseyside derby thanks to Divock Origi’s 96th-minute goal. As such, five points have been gained from drawing and losing positions in Liverpool’s last two games - evidence, Matip believes, of the team’s resilience in adversity. “We know we can always strike back and we’ll use every second of the game. Even if it’s the last second of the 95 minutes we can still be there,” said the No.32. Next up for Klopp’s side is a trip to AFC Bournemouth on Saturday. Victory on the south coast would take Liverpool above City at the top of the table for at least a few hours, with Pep Guardiola’s team playing against Chelsea later in the day. Matip, though, is focused solely on the immediate task at hand of beating the Cherries, who have themselves begun the season strongly. “The table is nice to see but only our games matter and we cannot decide how City will play, so we will focus on things we can change, [like] our game,” he continued.